Uniquely positioned as one of the largest highway striping contractors in northern Virginia, for over 30 years A-annandale, Inc. has been a major force in highway and pavement marking. 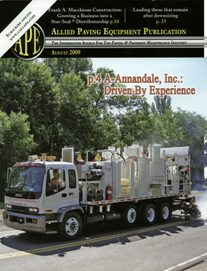 Serving Virginia, Maryland and the Washington, DC metro area, A-annandale, Inc. has a long-established reputation for using proven techniques, insisting on the most rigorous safety standards and using only highly trained, certified employees. Traffic Switch/Detour – our employees are certified in traffic control and are fully qualified to plan and implement traffic switches and detours. Very few other companies offer this service. Complete Marking Services – from longline painting to intricate detail work, we do it all. 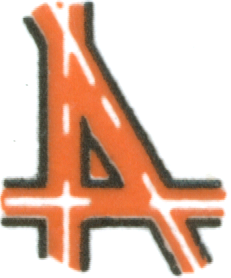 Whether it’s a first-time job or maintenance on existing markings, A-annandale, Inc. is your one-stop shop. Multi-Contractor Coordination – our many years of experience have helped to establish long-standing, positive relationships with the Virginia DOT and State and Local officials, as well as other painting, paving and major construction contractors with whom we regularly coordinate extensive projects. Safety is Priority #1: We are members of the American Traffic Safety Service Association and our crews are fully trained and qualified in all vital safety regulations and techniques. Experience is the foundation for A-annandale, Inc.’s reputation. of Allied Paving Equipment Magazine.